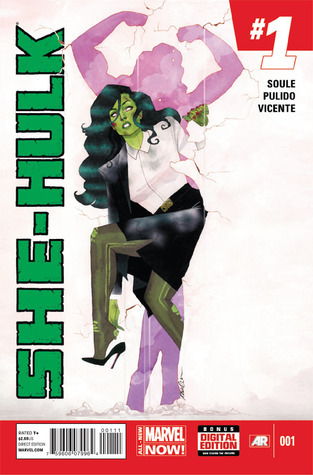 I really like She-Hulk. I find her fascinating, so I was very excited about reading this comic book series. And the first issue didn't disappoint, that's for sure. Jennifer Walters, also known as She-Hulk, is about to get her annual review. 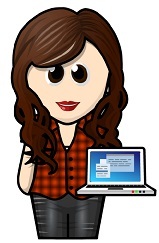 She's accrued a lot of hours and cases, so she's pretty sure she's about to get a good review and a bonus. However, when it turns out that all the firm wanted to hire her for was her superhero connections, they announce there will be no bonus. So she quits. While drowning her sorrows in a lawyer bar, a woman approaches her. She needs Jennifer's help, and because it's Tony Stark she has to deal with, she agrees. Except, Tony's hiding behind a Legal team. So she decides to do a little research and finds just what she needs to combat Tony.